In July, we started to establish an Expert Advisory Board – which may well become a 'supervisory' board in the future. From 31 July, Yunkap Kwankam has agreed to chair this Board, recruit new members, help build its capacity and independence, clarify its role vis à vis COHRED. 3. provide opinion on disputes concerning information on, and use of, HRWeb. If you have any suggestions, please contact us on EAB@HealthResearchWeb.org or start a discussion on this page. A qualified physician and epidemiologist Dr. Goldbaum completed his PhD in medicine (preventative medicine) at the University of Sao Paulo in 1981. He previously held posts with the Brazilian Ministry of Health, as Secretary of Science, Technology and Strategic Inputs Secretariat where he actively participated of the elaboration of the National Policy on Science Technology and Innovation in Health. The Brazilian Association of Post-Graduate Studies in Public Health - ABRASCO where he was President, and the Research Institute of the Health Secretariat of Sao Paulo where he held the position of Director. 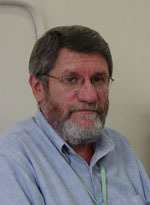 Dr. Goldbaum also worked as Social Development Superintendent at the National Council of Scientific and Technological Development, CNPq before becoming a National Consultant to the Pan American Health Organisation in Brasilia. His work has been widely published, mainly in the field of epidemiology..